We are live at Mobile World Congress in Barcelona, checking out the newest devices from Taiwanese smartphone giant HTC, as it hopes to kickstart a return to form with its new range of ‘hero’ handsets that do away with feature creep and concentrate on what its customers really want. 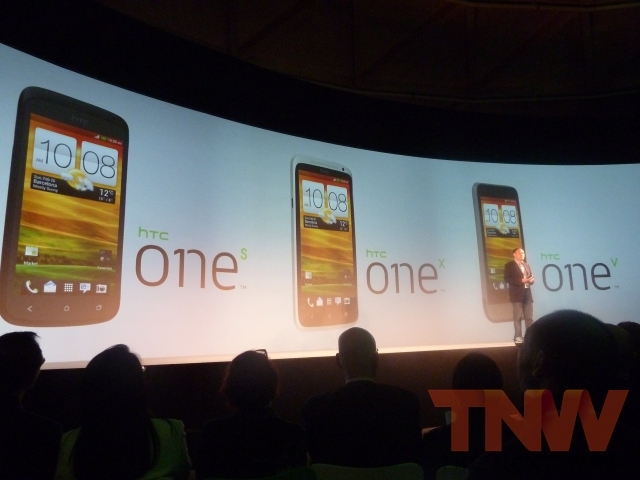 Although the expo event doesn’t officially start until tomorrow, HTC appears to have really delivered on its promises of concentrating on experiences, today launching three smartphones — the HTC One X, One S and the One V.
Before Mobile World Congress, HTC said it was going to concentrate on four key points: an amazing, camera, amazing audio, ensuring technology meets design and pushing the ‘Connected World’, where hardware meets software. With the One X, HTC has gone some way to proving that. Scaling back its sizeable devices and making it feel nicer in the hand, the One X is a 4.7-inch ‘all in device’ with a 1.5GHz quad-core Tegra 3 processor, 32GB inbuilt storage, 1GB RAM, 1800mAH battery and an 8-megapixel camera. The device is ultra thin at just over 9mm and has a polycarbonate unibody design, on the rear it has a soft touch back and HTC has ensured to micro-drill the earpiece instead of adding a speaker grille. Reinforcing its camera focus, HTC has added a f/2.0 lens (which is said to draw in 44% more light), added a BSI sensor and its new HTC Image Chip, which corrects saturation and colours before saving it to a readable format. The camera boots in just 0.7 seconds and auto-focuses in 0.2 seconds, which is faster than the blink of an eye. This applies to each of its handsets. This means that they can also snap photos using burst mode, simply by holding the shutter button and the flash detects distance (up to seven levels), ensuring your photos aren’t washed out or too bright in different environment. The one is smaller but by no means underpowered. The device rocks a 4.3-inch AMOLED screen, 1.5GHz dual core, 8-megapixel camera and is just 7.6mm at its thinnest point. Working on a new way of manufacturing phones, the HTC One S again sports a unibody metal design, but it is formed using microarc oxidation, which baths the surface in plasma rays and makes it 5 times stronger than anodization processes. It’s so tough, it’s normally used in satellites and racing cars. Remember the HTC Legend? Well it’s been reborn as the One V.
Featuring the same ‘chin’ as the Legend, the One V has a 3.7-inch, 1GHz single core processor and a 5-megapixel sensor. Of course, all the devices also feature Beats audio. With the new Sense 4.0 UI, HTC has made sure to make all audio sources Beats-enabled, whether it’s radio or your MP3 collection. The company has updated HTC Sync to wirelessly sync tunes from PC/iTunes also. One clever thing about the new Sense UI is that instead of asking you to choose your favourite music app to play tracks or stream, HTC has made sure it incorporate support for lots of different music apps, including Spotify and Soundhound, to integrate it all into your Music hub. Each new device comes with 25GB of free Dropbox storage also, making sure all of your media is automatically backed-up. 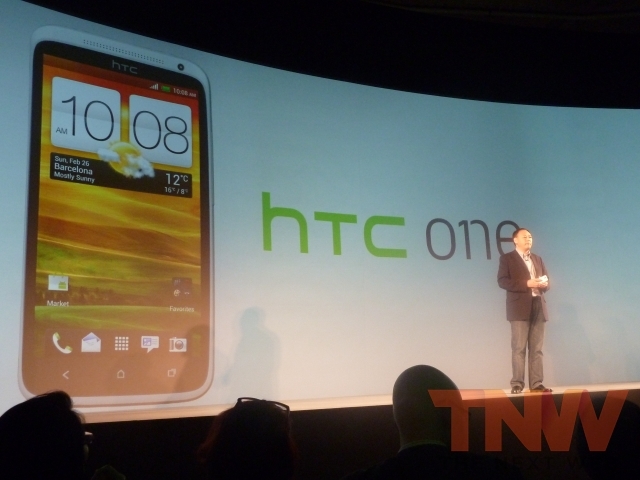 HTC hopes to have the devices out in April, all over the world.